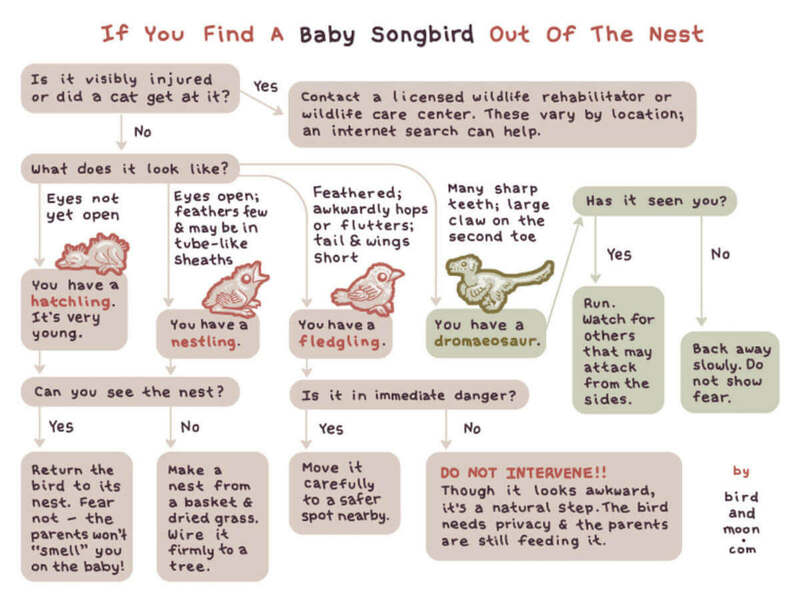 We often get calls from folks wanting to rescue a baby bird that has fallen out of its nest. Our advice, do not disturb. This infographic is great and sums up perfectly what you should do. Thanks to Rosemary Mosco at www.birdandmoon.com for the artwork !